Motorola Services for APX Two-Way Radios Radio Resource Inc.
Motorola Solutions’ two-way radios are built for superior performance, but accidents happen. State-of-the-art diagnostics equipment, repair tools and replacement parts helps ensure your radios are protected from normal wear and tear and back in operation within five days. Two-way shipping is included. All radios are returned to factory specifications and updated with the latest firmware. Motorola Solutions service centers are certified to comply with ISO9001. Motorola Solutions-experienced technologists are available 8x5, Monday – Friday, local time, to help isolate and resolve any issues you may have with your radios. These dedicated professionals effectively troubleshoot and resolve your issues within a four-hour time frame. 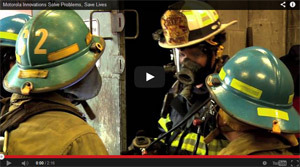 While Motorola Solutions two-way radios are built for superior performance, accidents happen. If additional device management services are needed, Motorola Solutions offers expanded coverage and support that includes: repairs for chemical, liquid and physical damage; three day repair turnaround time; two-hour window for help desk response and 8x5 technical support. For additional radio protection, we offer the following options: chemical, liquid, and physical damage; three day repair turnaround time; two-hour window for help desk response; 8x5 technical support and a battery refresh program. Motorola Solutions provides critical services to protect your investment and keep your APX two-way radio fleet up-to-date and organized. To help isolate and resolve any issues you may have with your radios or Radio Management software, our experienced technologists are available 8x5, Monday – Friday, local time. These dedicated professionals have access to documented and repeatable solutions and test environments to recreate your conditions to effectively troubleshoot and resolve your issues within a four-hour time frame. For additional radio protection, Motorola Solutions offers the following options: chemical, liquid, and physical damage; three day repair turnaround time; two hour window for help desk response; 8x5 technical support and a battery refresh program. With Premier Services, you transfer risk and management to us. Motorola Solutions team takes on accountability for your radios’ ongoing maintenance and repairs, as well as performance and security needs -- allowing your team to focus on its primary responsibilities. Motorola Solutions will be fully responsible for all of your provisioning and programming needs plus ensuring your radios are current with the latest firmware. Initial programming and provisioning. Using our Radio Management software, Motorola Solutions expert technicians ensure your entire radio inventory is provisioned and programmed to your specifications. Technical Support. Motorola Solutions-experienced technologists help resolve radio issues. They are available 24x7x365 for hardware repair and 8x5X5 for software-related issues. Comprehensive Hardware Repair. Motorola Solutions expert repair technicians troubleshoot, analyze, test, and repair your radios, updating them with the latest firmware and returning them to factory specifications. Motorola Solutions services are based on best practices for programming, support, maintenance and repair to minimize downtime. Reduce Risk and gain peace of mind by relying on us to be your expert device manager and technology partner. Motorola Solutions work with you to define measurable service level agreements to ensure your performance expectations are achieved. Lower Total Cost Of Ownership and achieve continued savings by relying on Motorola Solutions to be entirely accountable for managing your radio fleet in productive and cost-effective ways - performing required technology refreshes, software updates, repairs and lifecycle management of your two-way radio fleet. Focus On Your Mission to meet your operational objectives by relying on Motorola Solutions dedicated managed services team to support and maintain your entire radio fleet, maximizing performance and ensuring you realize the full value of your APX critical communications system.